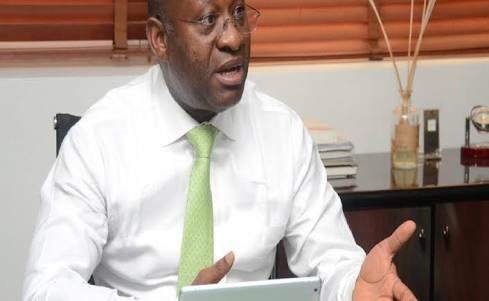 The Economic and Financial Crimes Commission (EFCC) yesterday charged the Managing Director of Heritage Bank Plc, Ifiesimama Sekibo, and five others before the Lagos State High Court in Ikeja for an alleged fraud of N1bn. Sekibo was charged along with Dimire Dike, Wumi Adeniyi, Kolapo Daisi, Funmilayo Taiwo and Akeem Durotoye. The charges border, among others, on conspiracy, stealing, obtaining money under false pretences and forgery, Punch reports. It accused them of dishonestly converting the N1bn, being Heritage Bank’s property, to their own. The EFCC claimed that the defendants sent the document to it (EFCC), hoping it would be mistaken as genuine. They also allegedly forged another document titled, “Agric Management Scheme” purporting that it was approved by Heritage Bank Plc. In the 10th count bordering on accessory to an act or offence contrary to sections 8(b) and 1(3) of the Advance Few Fraud and other related offences Act, 2006, the EFCC accused Dike, Adeniyi and Akee. Counsel for the EFCC, Ekene Iheanacho, said the defendants committed the offence between February 2015 and February 2017. The court has yet to fix a date for the arraignment of the defendants.